This is the Internet Warning and Alert System For Alleghany County, Virginia in Covington, Virginia. This site is for web-enabled communications during emergency events. During an actual incident the news or important directives will appear on this page. If you need assistance phone our toll free 24 hour hotline at 1-800-264-3932 or during working hours please phone 205-752-5050 extension 0. 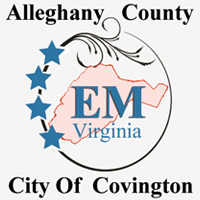 This page and other areas can be updated for communication purposes during or before an incident or threat by Emergency Management Officials of Alleghany County, and The City of Covington Virginia. Support for these features is provided by FastCommand.